If you are slightly split on the notion whether or not you should install iOS 11 Public Beta right now on your iPhone, iPad or iPod touch, then let us help you out. A couple of days back Apple went ahead and seeded the first ever Public Beta build of iOS 11 for everyone to test out. This means that you don’t have to spend a dime in order to test out Apple’s new firmware, unlike its developer-only counterpart. All that is required to get into action is a working Apple ID and a compatible iOS device. Sounds like something you can quickly jump into, right? Well, not quite. See, the thing is: iOS 11 Public Beta is not different from its developer counterpart at all. The only difference between the two is how they are both delivered to the user. The Public Beta is available as an over the air download only, which means you can’t install it from scratch using iTunes. 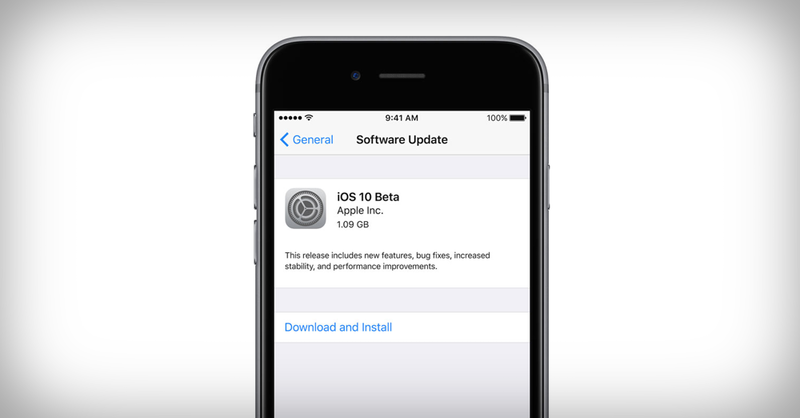 The developer-only version, on the other hand, can either be downloaded over the air, and you have the complete option to download a fresh image file of iOS 11 Beta that can be restored using iTunes. If you are expecting the number of bugs or performance related issues to be slightly less compared to the developer version, you’ll be wrong to think that as well. At this point in time, both versions are a menace to use and in no way will get you through the day until or unless you are feeling brave enough to take the plunge. It’s always a good idea to install beta software on a test device, nothing else. Battery life is less than stellar too. And during my testing for a few days, the first beta is not so different from the second in that department. If you are hoping to get through the day with the beta software on board, then you might want to consider roaming around with the power adapter or a portable battery pack in your pocket. At least that’s what I did. Many apps haven’t even been updated to even partially support iOS 11 at this point either. This is likely to happen when we are just a few days away from the big release of iOS 11. Just to give you an example how bad things can be for you – the search button in the YouTube app (for me) just disappeared. There was nothing I could do about it, and panic attacks were aplenty when I learned about it. So yes, you should expect these things and more in other apps. Lastly, backups made on iOS 11 Beta or Public Beta are not compatible with iOS 10.x. Be very, very considerate and make sure you create a backup before updating to iOS 11 Public Beta. This is very necessary if you spontaneously plan on downgrading later. If you are seeking a personal opinion whether or not you should install iOS 11 Public Beta – don’t. It’s likely that the second or third betas might end up making things smooth for the user. Right now, if you wish to make the jump, then do it at your own risk. If you have made your mind up already, then head over to the link below.